is one of our selected horse games which can be played for free at horse-games.org. It has been played 3792 times and has been rated from administrators of horse-games.org with 4.65 stars out of 5. If you like this kind of games you are welcome to play other amazing games in horse breeds category. The tail is moderately high-set. Back in the 16th century, the Galiceno was used for transportation and farming. 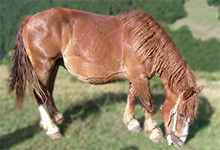 Today the Galiceno horse is differently used in Mexico and in the United States. In Mexico is used for many purposes from farming to riding and as packing or light draft animal. Due to their small size, in the United States, they are used as children pony for pleasure riding, but are also seen in competitions in Western events, as good jumpers and driving in long distances. They are also used as cutting horses, for reining and time events, due to their speed and agility. 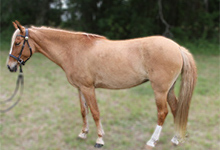 Their calm disposition makes them an excellent family horse that is easy to handle. 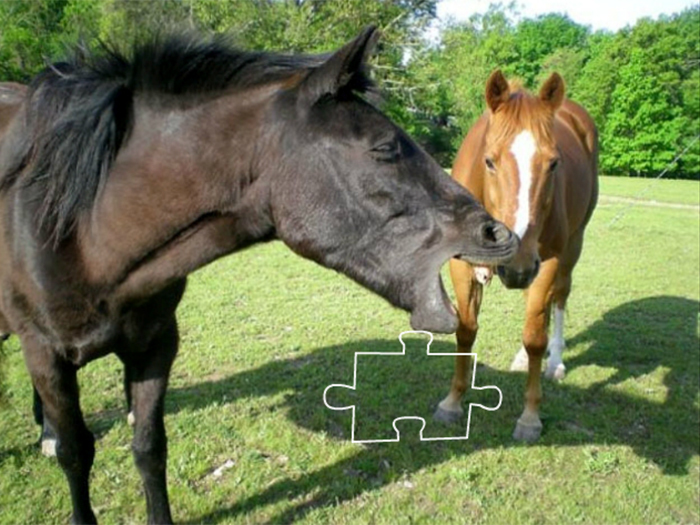 Solve a pleasant horse puzzle of a stylish horse with a natural running- walk gait, which makes them comfortable to ride. Press and hold the left mouse button on a piece of the jigsaw and then drag it to a place where it will match with another piece. The final image is about a gentle, bright, intelligent and calm horse breed. Their stamina, courage, and hardness can compare with any other larger horse . So do not go anywhere, stay on horse-games.org and play thousand of free horse, pony and other animal games.